You've probably heard that past performance doesn't guarantee future results. By law, every investment product is required to carry that disclaimer. It's a helpful caution — to a degree. It is quite true that longer-term past performance has no correlation with future performance. Picking a mutual fund based on how it has performed over the past five or 10 years is like making a mid-season prediction about which team will win this year's World Series based on its past 5 to 10 seasons. But short-term past performance correlates very strongly with future performance. 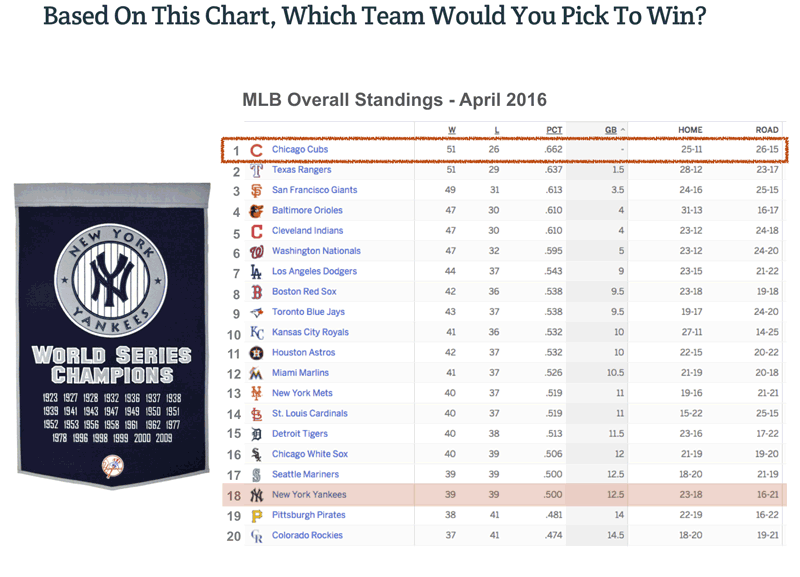 Isn't this year's World Series champ likely to be the team that's playing best this season? The fact is, short-term performance trends tend to persist. Whether looking at sports teams or mutual funds, "momentum" typically continues — at least into the near future. That's why objective measurements of momentum are at the heart of SMI's market-beating strategies. It's a simple idea — with simply outstanding results.